Increase focus and alertness for problem-solving, intense mental activities and tasks. Downloadable gamma waves brainwave entrainment MP3 tracks. 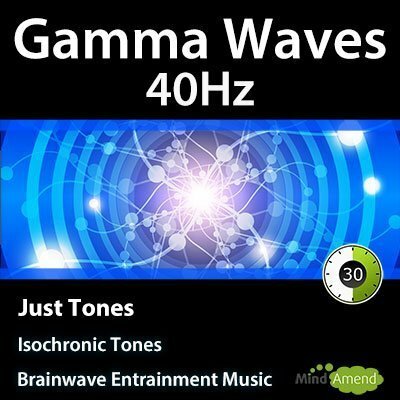 This 40Hz gamma wave brainwave entrainment track contains isochronic tones. The tones beat consistently at 40Hz (40 times per second) throughout the entire 30-minute track, without any ramps in frequency, either up or down. Either listen to the tones on their own or combine them with your own music. You can listen with your eyes open or closed, but you will probably find it easier to entrain your brainwave activity to 40Hz with your eyes open.